Several new titles have recently arrived at Gallery Funaki, both published by Art Jewelry Forum in the US. 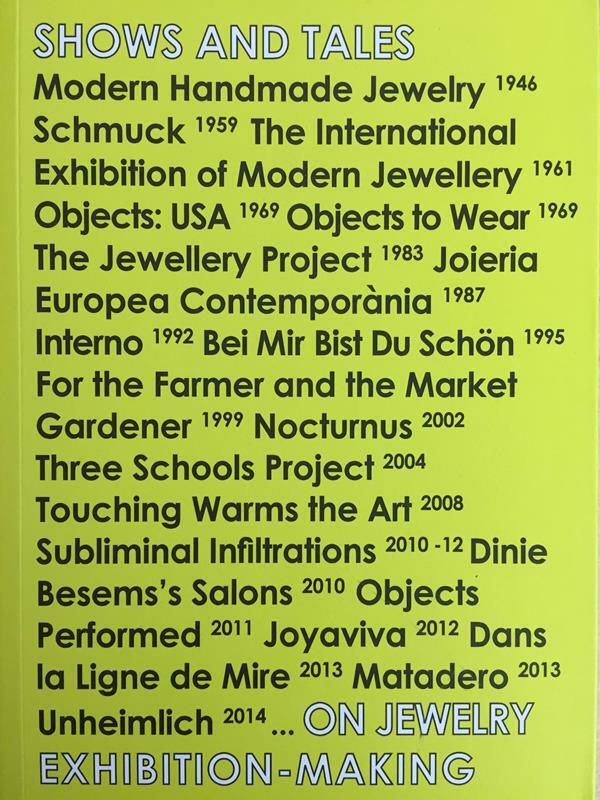 Shows and Tales: On Jewelry Exhibition-Making ($48, edited by Benjamin Lignel) is a critical text for anyone interested in the curatorial aspects of contemporary jewellery, as it examines landmark exhibitions of the last 60 years. Best of Interviews ($35), is just that; a compilation of 20 of the best interviews with teachers, makers, curators, collectors and dealers conducted by AJF. Both are available now. We also have a new shipment of Daniel Kruger’s brilliant monograph, Nature and Artifice ($90) in stock now.